Don't blink. You might miss another jump in oil prices. Crude has spiked 14% in just the past three days, ending Friday at a 17-month high of $51.68 a barrel. OPEC breathed new life into crude this week by shocking skeptical Wall Street with an agreement to cut production for the first time since 2008. The OPEC decision marks a significant shift in the Saudi Arabia-led cartel's two-year price war against U.S. shale. Investors are betting OPEC's decision to stop flooding the world with oil will ease the supply glut that caused prices to collapse in the first place. "OPEC made a very serious and very credible cut. The market got all it could have hoped for from OPEC," said Michael Wittner, global head of oil research at Societe Generale. Doubts had been growing about OPEC's ability to reach a deal, causing oil prices to plunge just before Wednesday's meeting. In the end, oil spiked 12% on the week, the biggest weekly gain since 2011, leaving oil prices at nearly double their 13-year low of $26 a barrel from February. The good news for drivers is prices at the pump remain low, at least so far. The average gallon of gasoline fetched $2.16 on Friday, up from $2.13 a week ago, according to AAA. Related: OPEC raises the white flag in battle with U.S. So how high will oil prices go? Anthony Starkey, energy analysis manager at Bentek Energy, an analytics and forecasting unit of Platts, said crude could range between $50 to $60 a barrel in the first half of next year. However, Starkey said the rally's "sustainability is sure to be questioned" as investors wait to see whether OPEC adheres to its own production limits. The cartel has a mixed track record, at best. Even former Saudi oil minister Ali al-Naimi on Friday said, "We tend to cheat," according to Bloomberg. 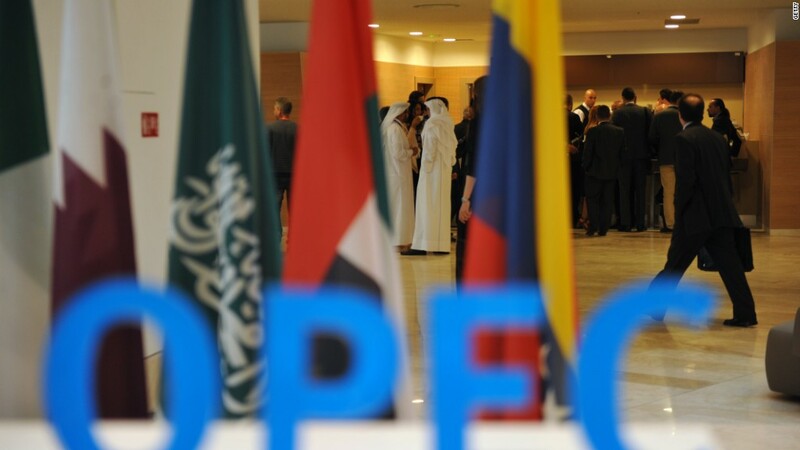 Wittner put it this way: "We need to see OPEC deliver." The other force that could limit oil's rise is the wall of American shale oil just waiting to be pumped now that prices are higher. In many ways, OPEC's decision to cut production reflects a recognition that this new competition from the U.S. can't be drowned with cheap oil. In fact, U.S. producers have emerged stronger and leaner, allowing them to pump at prices that were once too low.